Just what I was looking for, recommended by my PT. This helps keep my toes in good alignment. My PT suggesyed sometjing like this. So glad I found it in your catalog. 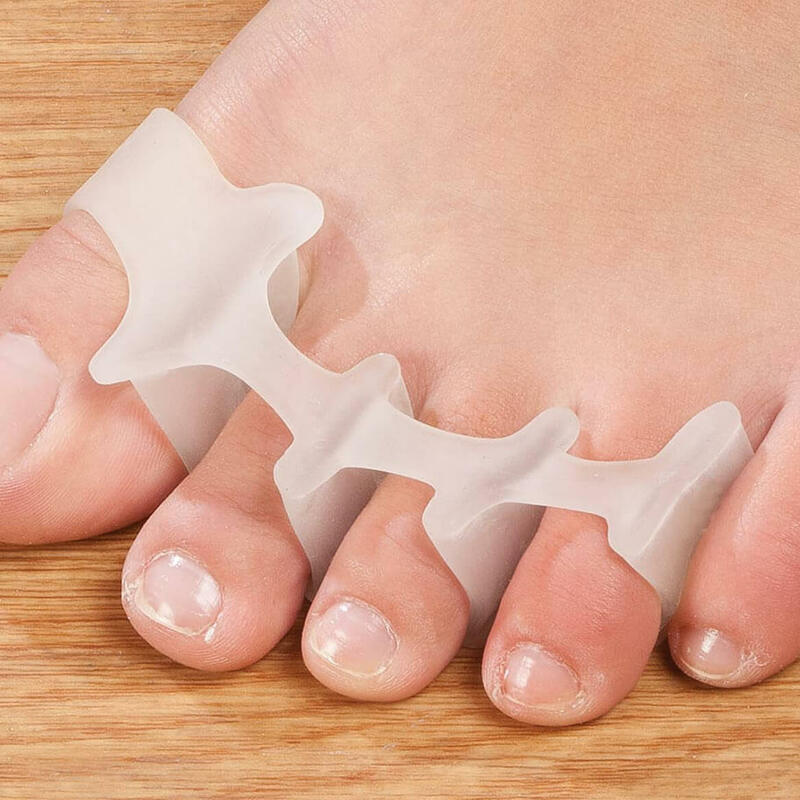 I like the toe separators. They are soft and not bulky. I can wear them to bed and with socks and shoes. They have made my feet more comfortable. Toes need to be kept apart & straight. Because my middle left toe is turning sideways and it hurts. Have hammer toe and bunion. Haven't found a comfortable pair of toe straighteners yet, hope these will work. Have ordered a set in past and they help my feet. These toe straighteners looked comfortable enough to wear with all kinds of shoes, as well as without. Had foot surgery- that failed, so trying to protect my toes.